The Lunula Laser uses low-level laser light to treat foot fungus, and requires very little time or set-up for physicians or their staff. It’s the only system you can turn on and walk away—the device is already pre-set. In fact, only four 12-minute sessions are needed to treat the affected area. 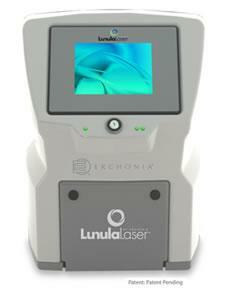 The Lunula Laser is the simple and painless solution to effectively treat onychomycosis. From baseline to 6 months post treatment patients experienced 6.15mm of new clear nail growth or 37% clearing of the nail.